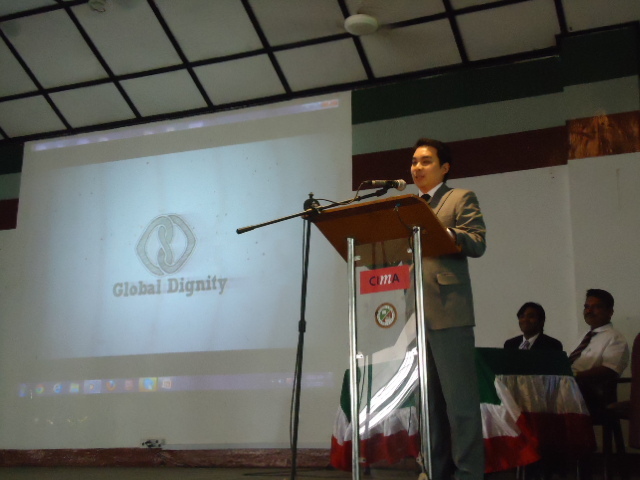 The Inaugural Global Dignity day in Sri Lanka was held at Zahira College Colombo on the 2nd of January 2013. It was conducted by Global Dignity chair for Cambodia Mr. Kwong Weng Yap and Mr. Asanga Abeyagoonasekera present Executive Director of Lakshman Kadirgamar Institute and a Young Global Leader for the World Economic Forum who was named as the Global Dignity, Country Chair for Sri Lanka by His Royal Highness Crown Prince Haakon of Norway and the Global Dignity Board. 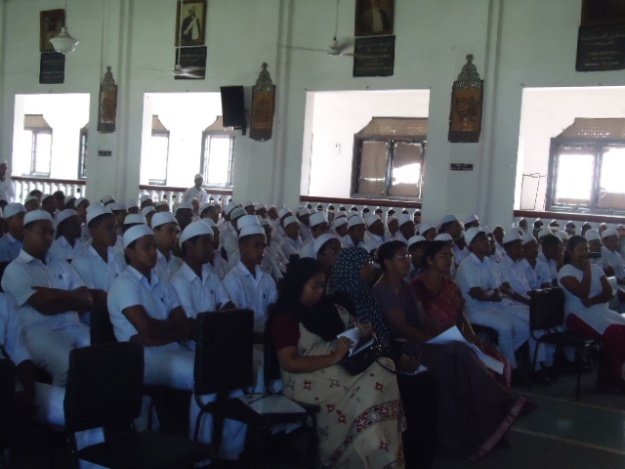 The programme was held in the presence of the Deputy Principal Mr. Trizviiy Marikkar, the teachers and the students from the O/L and A/ L classes. It was an enthusiastic, energetic and interactive audience that greeted the speakers who questioned the students on the five principles of Global Dignity. Mr. Abeygoonasekara highlighted the fact that all humans have 99% of common genes but pay more attention to the 1% that differentiates them. Mr. Kwong spoke of the importance of cultivating dignity in today’s day and age where strife and turmoil is rampant due to differences in ethnicity and religion. It was also a historical occasion as it was the first occasion that two Global Dignity Chairs hosted a Global Dignity day together. The programme focused on the importance of the universal right of every human being entitled to lead a dignified life which is also the mission of the Global Dignity Organization. This important concept needs to be inculcated in students who are the decision makers of the future as they can then be guided by these principles of dignity that will ultimately help in ensuing a harmonious future society. Global Dignity is the brainchild of three freinds and concerned global citizens who met as Young Global Leaders at the World Economic Forum: HRH Crown Prince Haakon (Norway), Professor Pekka Himanen (Finland) and founder of Operation HOPE, John Hope Bryant (United States). The co-founders created Global Dignity in 2006, following a Young Global Leaders meeting. Since then they have worked with many Young Global Leaders and other partners in over 50 countries, hosting what are known as DIGNITY DAYS. This involves visiting local schools and communities around the world and teaching a “course in dignity” to youth. This entry was posted on Thursday, January 17th, 2013. You can follow any responses to this entry through the RSS 2.0 feed. You can skip to the end and leave a response.